What sort of preconceptions are there from a band called Like A Storm? Well, for starters, they pretty much need to be a hard rock band, given that’s a name that just screams a sense of high-inflated bombast and power coupled with the lack of commitment to anything too much that an open simile like that would connote, and that’s pretty much exactly the case. Sure, there’s a few curveballs thrown in there, like the fact that they’re actually from New Zealand and that frontman Chris Brooks incorporates his didgeridoo playing into their sound, but for what is overall the most down-the-middle approximation of modern hard rock imaginable, look no further than Like A Storm. And for outlets like this one that have to find the merits in these albums, both independently and in relation to their scene as a whole, covering what feels like the zillionth one of these things is an unbelievable slog. Surely Like A Storm must know that what they’re doing isn’t all that exciting or original, and that they’re kicked down a rung by bands who are just as uninspired, but ultimately succeed by virtue of existing longer. What that’s all saying is that Catacombs really has no reason to exist, as it feels like little more than the newest vehicle to churn out the same slurry to the same audience who must be getting tired by now. It ultimately leaves any larger analysis pointless, as Catacombs is mostly the same job that hard rock in this vein has been pulling all year – trying to be dirty and heavy yet simultaneously ridiculously polished, and weighed down by post-Three Days Grace angst that, whichever way you look at it, isn’t getting any more interesting. Granted, the didgeridoo passages swelling in the background of The Devil Inside and the title track make for a richer, more textured atmosphere, and it’d be unfair not to admit that Solitary and The Bitterness have decently sized hooks to them (even if they were both just as good when Black Veil Brides did them first), but there’s not much else that can be reasonably complimented about Like A Storm without lowering the bar to ludicrous levels. They still favour the sludgy, post-grunge guitar tones that rarely, if ever, make for compelling listening; the overblown alt-metal sneers are just laughably unconvincing when they’ve been done by every other band like this for the last decade-and-a-half; and when it comes to the AutoTune on Complicated (Stitches & Scars) (or really just the vocal production overall on that track which makes the verses pretty much inaudible), it sounds absolutely disgusting. Honestly, it’s just become so tiring rattling off the same points time and time again, but as long as bands keep refusing to move from the security of the radio-rock safety net and actually do something interesting, it still needs to be said. Even with that in mind, Like A Storm are far from the worst band in the world, but being unspeakably dull and derivative is hardly a positive substitute. They even play down what’s designed to be their key selling point here, for presumably no reason other than to spoon-feed their audience more of what they’re used to in the hopes of finding some kind of success. It’s just not worth paying attention to a band like this, especially when there are so many others that could challenge or facilitate any sort of emotional response besides blatant ambivalence. 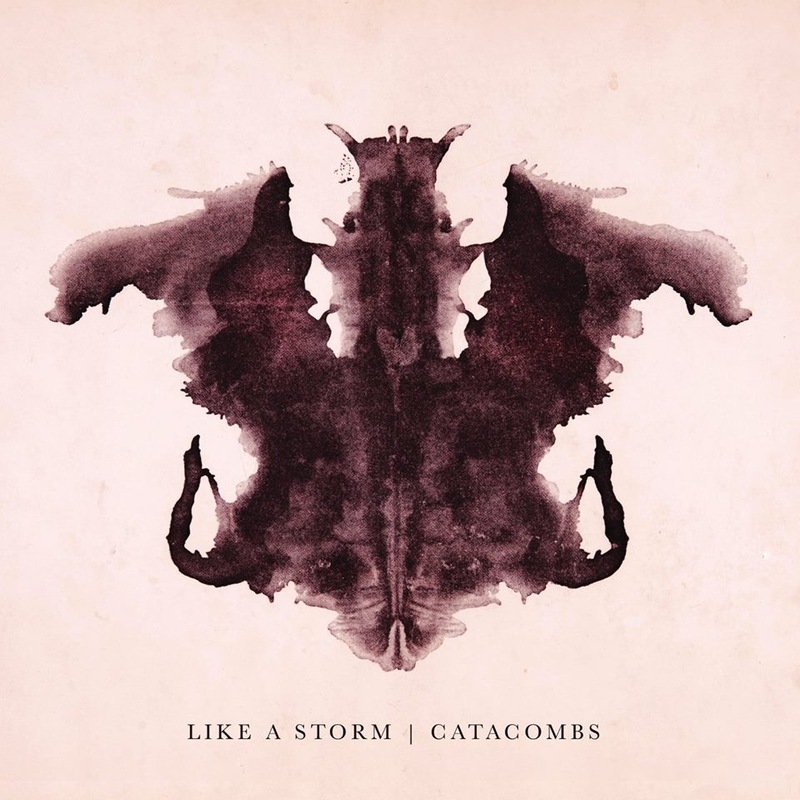 ‘Catacombs’ by Like A Storm is released on 15th July on Century Media Records.